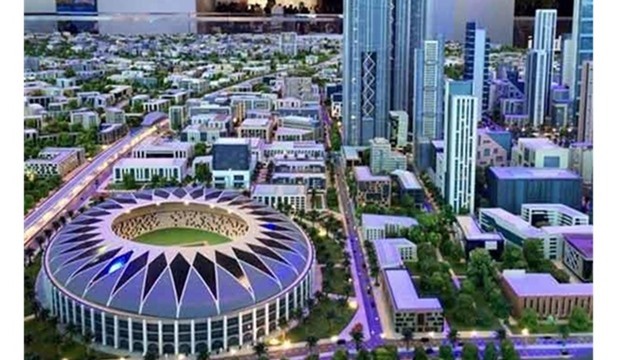 Prime Minister Mostafa Madbouly announced on Monday that the government is planning 20 new cities of the fourth generation on a total area of ​​about 580,000 feddans, expected to accommodate about 30 million people besides providing millions of jobs. The new cities are planned in Cairo, Giza, Dakahlia, Beheira, Port Said, Matrouh, North Sinai, Beni Suef, Minya, Assiut, Qena, Luxor and Aswan. New cities in Cairo include the New Administrative Capital on an area of 170,000 feddans, Vice President of the New Urban Communities Authority Abdel Motteleb Mamdouh said. South New Cairo city is planned on 16,000 feddans. The first phase includes distinctive residential plots of land, integrated urban projects and malls, he added. The new city at 6 October in Giza is planned to be about 78,000 feddans. The first phase is 9,000 feddans and includes residential projects, integrated urban communities, a wholesale market, a dry port and a city for craftsmen, according to Mamdouh. The city at Hadayek October (October Gardens) is planned on an area of 41,000 feddans. The first phase includes the Oasis of October project on an area of ​​3,000 feddans, and about 50,000 social housing units. Fifty percent of the units have been already constructed, Mamouh pointed out. The Sheikh Zayed Extension City in Giza is planned to include distinguished housing and service projects, he said. The city of Sphinx is planned on 32,000 feddans, while Tagamoa al-Waraq al-Gadida (the New Waraq Pool) is planned on 1,400 feddans. The New Obour City in Qaliubiya is planned on 58,000 feddans. It’s first phase is on 3,000 feddans and includes 26,000 social housing units. Next, the New Alamein City in Matrouh is planned on 49,000 feddans. The first phase on 14,000 feddans will include touristic, residential and service projects, according to Associate Housing Minister for Urban Communities Waleed Abbas. The New Mansoura City in Dakahlia is planned on 6,000 feddans, while the Nubaria Extension City in Beheira is planned on 16,000 feddans. The city of East Port Said (Salam) is planned on 16,000 feddans, with it’s first phase will include seawater a desalination planet, and residential and service projects. The West Port Said city is planned on 2,900 feddans, Waleed said. The city of Be’r al-Abd in North Sinai is planned on an area of 2,700 feddans, he said. According to Waleed, the New Toshka City in Aswan is planned on 2,000 feddans. The first phase has been constructed and includes 1,200 housing units. An industrial zone and a logistics area are planned within the city, he added.